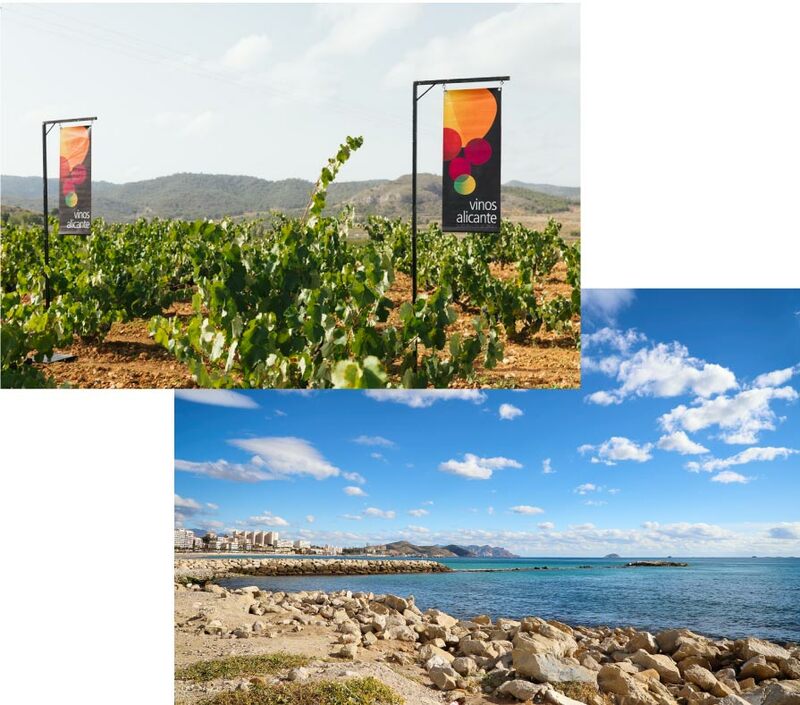 Alicante’s pleasant climate, the variety of landscapes from the coast to the interior, plus new irrigation methods have all improved the range of varieties and standards. This means that many different varieties are now grown across the region. However, one this area has always been known for the enormous diversity of grape varieties that have been cultivated here for centuries, including historic varieties such as: Tortosí, Esclafacherre, Valencí, Montalban, Rojal, Tiro, Negrella, Ferrandella, Montonech, Blanqueta, Torrontés, etc. many of which have now either disappeared or been renamed. Muscat of Alexandria, Airén, Subirat Parent (Malvasia), Chardonnay, Macabeo, Merseguera, Planta Fina de Pedralba, Sauvignon Blanc, Verdil. Monastrell, Garnacha Tintorera (or Alicante Bouschet), Garnacha Tinta (or Gironet), Bobal, Cabernet Sauvignon, Merlot, Pinot Noir, Petit Verdot, Syrah, Tempranillo. This catalogue of varieties has enabled the local wine-producing industry to diversify and is one of the reasons for the creativity of the wines we produce today, with different wines to suit different kinds of consumers, pairings and so on.